Darling Brick Ranch has the updates you'll love! Large kitchen with newer stainless french door refrig, oven, micro and dishwasher plus flamed granite counter tops and soaring ceilings in the kitchen! 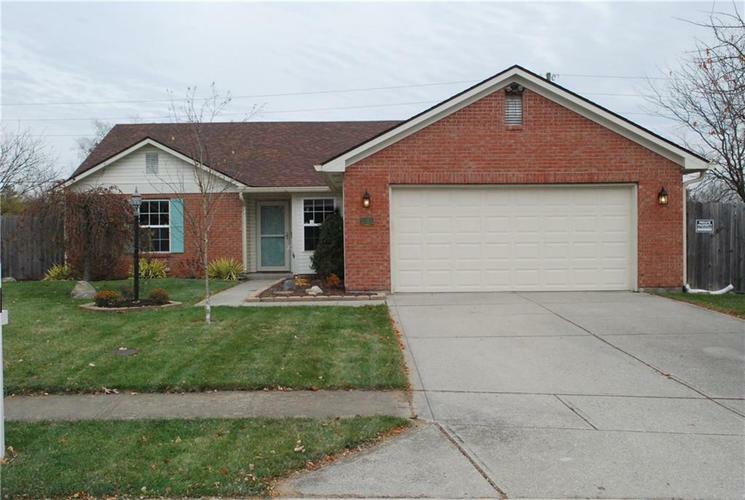 Spacious GR with fireplace has cathedral ceilings and is open to the kitchen! Split BR floor plan maximizes privacy! XLG MBR adjoins snazzy BA with custom walk-in shower! Across the house are 2 secondary BR's with a bath in between! Enjoy the privacy fenced yard from your wood deck! Newer carpet and roof! Add to this Reversed osmosis water system, new water softener, insulated garage door, mini barn with electric, updated lights and fixtures, ceiling fans, fresh paint! Clean, clean condition & great floor plan! This is soooo nice!! Directions:East of Arlington or West of Combs on Stop 11 Road to Southern Trails. Turn into edition. turn Right at the "T", then Left onto Amarillo Way. Follow to Southern Trails Pl on Left at curve.